New music rises daily, but I find comfort in the fact talent can still be found out there that isn't of the cookie-cutter type. Er, today’s “new music” usually leaves me feeling out in the cold. Sure, there’re a few newer bands that grab me—the new-wavish Walk the Moon and the quirky indie sounds of Tanlines spring to mind—but the norm is the cookie-cutter product that plays as drivel to my tinnitus affected earholes. The worst of any given lot, of course, are the boy band-of-the-month or the chanteuse-du-jour. Currently highly touted female singers, such as Adele, only give me the heard-it-all-before heebie-jeebies. There is a fresher face that raised its head, though, in a clearly banner break-out year, 2014. I’m looking forward to more from this feisty Brit, too, as time goes on. While her lyrics tend to be rinky-dink and penned in the “moon-June-spoon” vein, the music’s danceability, great hooks, and interesting instrumentation have caused her songs to attach themselves parasitically to my brainstem, unshakeable. Plus, at 5’3” and built like a brick you-know-what house, I hafta tell ya I gots me some crazy, mad love for Charli XCX! There are many strange stage names out there for those in the entertainment industry. An early interest in pop music found her trying her hand at songwriting at the age of fourteen. Cadging some bucks from her dad (with a promise to pay him back!) she cut some of these as demos in 2008 and posted them on her MySpace page. Response was favorable, and a rave promoter caught up with her where she gained slots playing the illegal dance parties. She performed under the name “Charli XCX”, a handle she used on an old MSN Messenger account. That name was the one put on the promotional flyers for the clandestine rave shows. From there she gained enough attention and confidence to try her hand at releasing singles. Her album (conceptualized when she was fourteen and a demo version crafted) was aptly named 14, and from this small stock of demo tracks she culled two tunes for release in 2008. Neither of the two made much of a splash but she came to the attention of Asylum Records and was signed in 2010—she almost immediately took a break from writing material and performing, though. Meanwhile some of her material (from 14) was getting heard. In 2011 an airing on the BBC of a song by another artist that featured her got some buzz. She released a coupla singles in May 2011 followed a year later by a mix-tape, Heartbreaks and Earthquakes. That was enough for her to snag opening slots on two tours that year, one of which was for Coldplay. She put forth a second mix tape in late 2012 (this was only available through her website and was not distributed by a major label). In all, she would release ten singles before her big break came. She co-wrote a song that she also did some vocal work on for a Swedish outfit, Icona Pop. “I Love It” hit the US Billboard charts in early 2013. In the wake of a single released under her own name, “You (Ha Ha Ha)”, she put forth her debut, full-length set, True Romance. And she started work on her sophomore set, Sucker, in mid 2013. And she had her first UK chart breakthrough with “SuperLove” later in 2013. Charli’s voice is strong and melodic, and she became feted as a feature performer on other artists’ tracks. Most notable of the several songs on which she would guest was the Iggy Azalea surprise hit of 2014, “Fancy”. I hate Iggy Azalea’s white girl Aussie rapping (and I doubly hate that she calls herself “Iggy”—the only person on the planet worthy of the name is its originator, Iggy Pop). While the tune is drivel, it is Charli’s contribution—singing the hook and other backing parts—that shines out. She contributed songwriting for other artists as well during this period (including Gwen Stefani and Rihanna). But it was from the international success of “Fancy” (even though she was merely a “feature” on that track) she hit it big with her song, “Boom Clap”. This single’s driver was its featuring on the soundtrack to one of those sappy, feel-good movies, 2014’s The Fault in Our Stars. The film is about two teens that have cancer and then find love, yadda, yadda, feel-good, heartwarming, blah, blah, blah, life affirming, I’ll puke now. The official video for Charli’s “Boom Clap” intersperses footage of her gorgeous, curvaceous brunette self on location with clips from the movie. The song featured on her second album, Sucker, and became a huge hit. I’d seen the name, Charli XCX, in print somewhere, and other than knowing she was a singer that’s all I had in my bucket. The month Sucker was released in the US Charli was booked to play on NBC TV’s Saturday Night Live (December 13, 2014). I generally quit watching this show decades ago but occasionally will tune in if there’s a musical guest I’m wanting to see or a particular host that I think might be fun (such as any time the actor Alec Baldwin hosts the show). I had nothing on Charli, remember? So, when she came out and started “Boom Clap” spang, snap, went my zipper! This woman is a hottie! And while, yes, I get that physical attractiveness shouldn’t be a criteria for judging the merits of a singer’s acumen I couldn’t help finding her overall physical appeal . . . uh . . . appealing! She is curvy and fluffy in all the right womanly places. But, regardless of that, I thought she turned in two excellent performances that evening on SNL. Her second song of the night was “Break the Rules”. And while her live version lacked the urgency of the synth driven studio track it was still stellar. The song is bratty and anarchic and, with its “nyah, nyah, nyah-na-na” hook, infectious. By the end of that I was a fan of Charli XCX. I changed pants and went to bed. So, there I was with this new thing in my life to explore. I checked out some of her material on YouTube. One of the more interesting things I stumbled upon was “Vroom Vroom”. This is a very weird piece, minimalist to the point of being barely there, with a chish-chash rhythm that starts and stops, the “holes” keeping time. 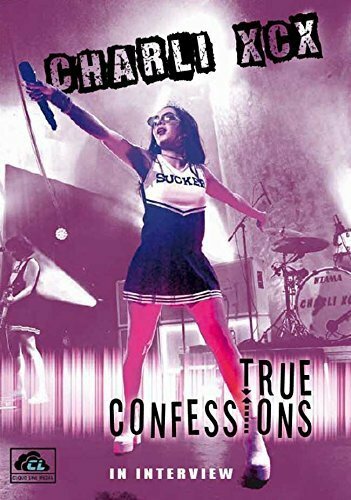 There’re some techno paeans in it, too, and I found it utterly disturbing and engaging at the same time (plus, the spoken parts where Charli intones, in her so veddy British way, that “they cahn’t catch me” cracks me up). And in one of her more recent videos, for “After the Afterparty” (released in October 2016, as a teaser for her third studio album), she uses cheesy zombie people with a pink bubble gummy substance exuding from them and clinging to different surfaces as a metaphor for something (I don’t know what, just silliness, I guess). Never mind the literal bubblegum, this bubble-gummy confection suits me just fine. I also learned some stuff about her as a person and a songwriter, too. She said she had originally written “Boom Clap” with the intention of giving it to American singer/actress Hilary Duff (!) to do. Yikes. Furthermore, she claims—and I believe her—that she has a brain function that lets her “see” music as colors (a condition known as synaesthesia). And in the below interview from Australia (in which she is totally adorable, charming, and gracious) she mentions paying her dad back for the loan he gave her that kick-started her music career (whatta stand-up gal). 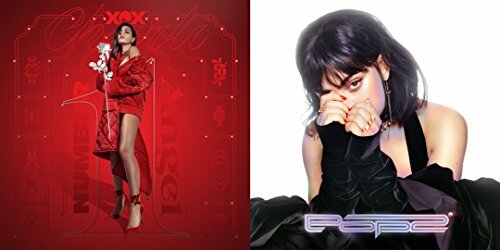 In late 2017, she dropped another “mix tape”, Pop 2 (available via digital download and hard copy). A full-on third studio album, while much talked about, may not materialize for awhile, though. A hottie with some musical chops who seems to be maturing quickly as an artist and whose appeal grows internationally. A woman who cites punk/goth goddess Siouxsie Sioux as her hero . . . get you some crazy, mad love for Charli XCX, too! It's great to see you back in action, Vic! Yeah. I'm back. Been nearly a year since I wrote anything here, and then sold it all. Starting over, sor to speak. Thanks for checking in. Wow, what a talent. And she certainly has the maturity to take her places. 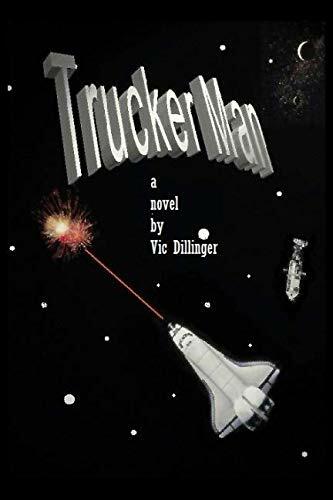 Happy to read more of your work Vic. Welcome back! Thanks, Rose. If the past couple of years since she gained attention are an indication she may truly become a musical force to be reckoned with. Thanks for reading. Hey Vic, great article, thanks for the in depth story behind the story. Thanks for checking her out! Charli XCX is definitely dope. Another good write up. Thanks. I'm looking forward to hearing what she does next (I'm hooked).